A great guide to the star trails. 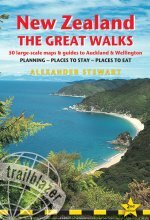 ...an essential read for anyone planning a walking trip to New Zealand. New Zealand is a wilderness paradise of incredibly beautiful landscapes. Outstanding scenery, a rich heritage and extensive outdoor activities combine to make it one of the world's most exciting destinations and there is no better way to experience it than on one of the nine designated Great Walks, the country's premier walking tracks. Fully rewalked 2nd edition – includes route descriptions for each of the country's nine best hikes with 50 detailed walking maps in the proven Trailblazer style; all walking times are indicated, along with points of interest and gradients. We cover what other guides leave out – comprehensive details of where to stay and where to eat along the way. All-in-one-guide – includes everything you need for a walking holiday in New Zealand: getting to New Zealand from the UK, USA & Canada, South Africa, getting to each trailhead, historical and cultural background, health and safety, environmentally sensitive hiking. 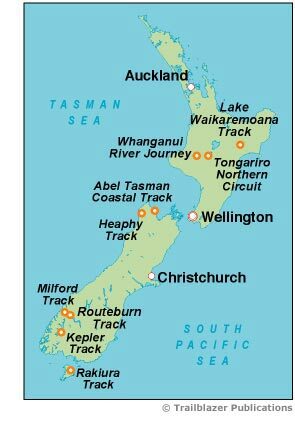 Plus guides to Auckland, Wellington and gateway towns –detailed guides and maps to Auckland, Wellington, National Park Village, Taumaranui, Nelson, Queenstown, Te Anau and Oban.